ives to promote elephant conservation through scientific research and educational programming announced a study on April 17, 2013 co-authored by 12-14 year old students from East Side Middle School in NYC, revealing elephants were not able to recognize visual cues provided by humans, although they were more responsive to voice commends. The study is a three-year endeavor to create a comprehensive middle school curriculum that brings elephant into classrooms as a way to educate young people about conservation by getting them directly involved in work with endangered species. This research tested elephant pointing to find food hidden in one of two buckets, and the elephants failed this task, but were able to follow voice commands telling them which bucket contained the food. The study helps to inform better practices for protecting these endangered animals. The African elephant is listed as threatened under the Endangered Species Act of 1973, and the African Elephant Conservation Act of 1989 protects the elephant illegal trade in African elephant ivory. 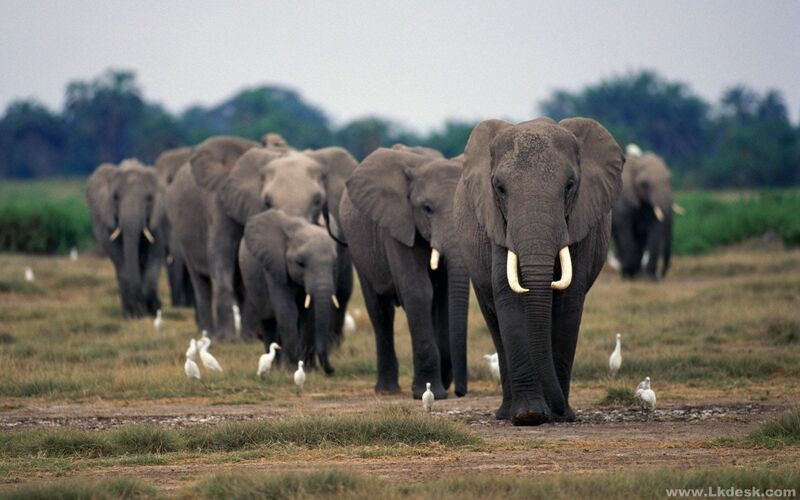 Although some African countries have effective African elephant conservation programs, many do not have sufficient resources to properly manage, conserve, and protect their elephant populations. Another article, Moose Die-Off Alarms Scientists, by Jims Robbins describes how the moose population across North America is in steep decline. 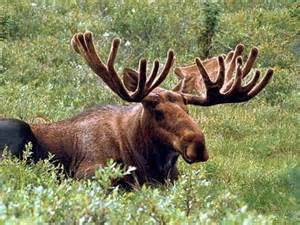 In Minnesota, since the 1990’s moose have been declining to fewer than 100 from 4,000, the leading culprits are brain worm and liver flukes. In Montana, DeCesare, a biologists from Montana Dept. of Fish, Wildlife, and Parks said, “something’s changed.” And what has changed remains a mystery, but a common theory is climate change. In the Cariboo Mountains of British Columbia, a study pinned the decline on the widespread killing of forest by pine bark beetles, leaving the moose exposed to human and animal predators. Moose deaths are hard to study, the moose is a member of the deer family but a solitary animal because it does not run in herds. Another problem for the moose is the winter tick, the tick drives the moose crazy, and moose have not evolved to an ecological balance with ticks, they don’t groom the tick off like deer are able. Minnesota has started a study using advanced monitoring technology to find moose as soon as they die, in hopes of finding and preventing the deaths of moose. Moose are not listed as an animal of threatened or endangered species under the Endangered Species Act of 1973. The Minnesota Dept. of Natural Resources wants to add moose to the state’s endangered species list because of the moose population decline. The law directs the Dept. of Natural Resource to identify those species that are at greatest risk of disappearing from the state. Also, a short article, A Rhino Cam Delivers, describes how hidden cameras captured photos of the endangered Sumatran rhino on the island of Borneo (Indonesian side) where it was thought to have died long ago. Because of the photos, this should provide a basis for renewed rhino conservation efforts. The World Wildlife Fund worked with the Indonesian authorities to set and monitor the cameras, the images show different rhinoceroses, though confirmation will require further study. Sumatran rhinoceroses are classified as critically endangered, primarily due to illegal poaching. And, an article, Female Meerkat: Will Nurse for Rent, explains the animal behavior of the meerkat communities on how only the dominant female breeds. When others try to breed, the dominant female will often kill the pups or force another mother to abort. Some female meerkats will nurse the dominant female’s offspring as a way of paying “rent,” to remain in the community. MeerKats are not threaten or endangered species; they are classified as Least Concern (LC) on the IUCN Red List. Lastly, (even though in the Letter section there’s a letter to the editor on Zoo Penguins and in the Global Heath section an article about Hookworms), an article on animal species, Lost and Found (Part 2), describes how the Pinocchio lizard, presumed extinct in 1953, was photographed by bird-watchers in 2005 and now photographed by a team of National Geographic researchers who found one, held it until daylight to photograph it because during the day the lizard hides high in the trees and at night it rests at the end of the branches. Now scientists have had a close look at it in the flesh. The Pinocchio lizard species is listed as IUCN Red List critically endangered. I hope at least one of the articles was of interest to you! !